Are you looking for a way to achieve straight, beautiful teeth without the hassle, discomfort, and pain associated with traditional braces? 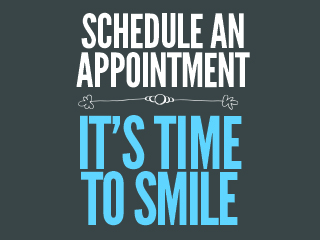 Then you should check out Invisalign® clear braces. Instead of using metal wires and brackets, Invisalign® utilizes a series of customized, clear plastic, removable aligners to straighten your teeth. They are clear and virtually invisible, meaning most people are unaware you are even wearing them. Because they are removable you can simply take out the aligner when you eat or drink, so there are no restrictions on your diet. Also, removing the aligner allows simple tasks such as brushing and flossing to remain simple when compared to patients with braces. It is a great option for Adults and Teens. 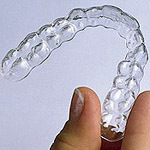 Using 3-D computer imaging technology, a series of the clear plastic aligners will be created to fit your individual needs. Each aligner set will last about 2 weeks before you progress to another custom aligner to continue the teeth adjustments. The total treatment time and number of aligners varies case by base, but there are required office check-ups once every 6 weeks to make sure the realignment is on schedule. There are many advantages to Invisalign® over traditional braces including the ability to remove the aligner so you can eat what you want, when you want it. Brushing and flossing are not an issue that can sometimes come with braces. Also because the plastic aligners are costum-made and very comfortable, you do not have to worry about mouth abrasions and other discomfort associated with braces. Invisalign® can help you achieve the dazzling smile you have always dreamed of and those around you will have no idea you are even wearing the aligners!